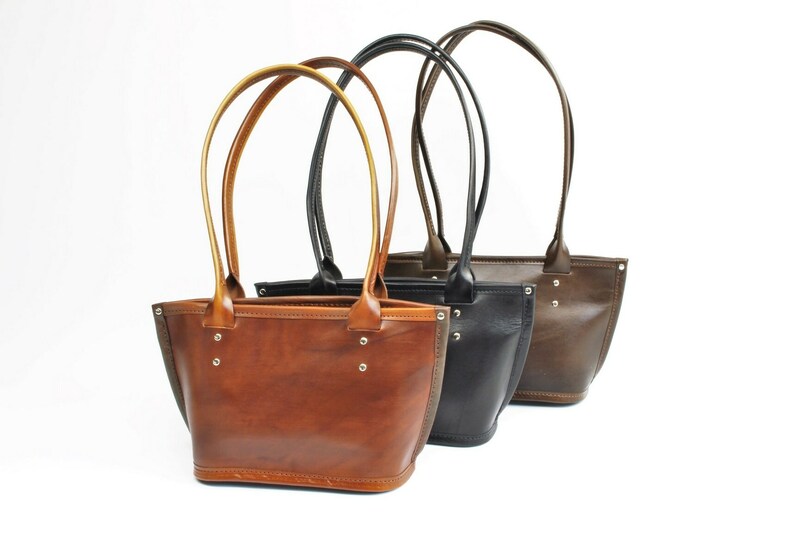 I designed my line of leather tote bags with a modern, clean look. 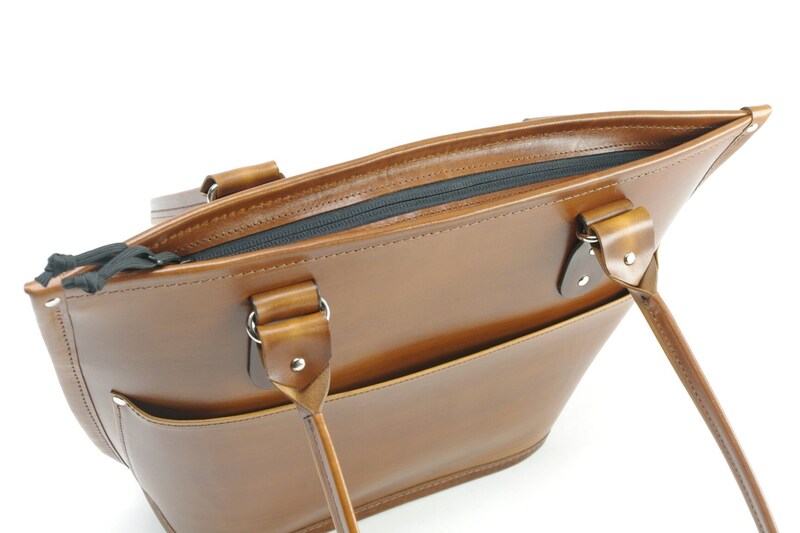 I construct these bag using firm leathers so they will soften as they break in, yet keep their shape. 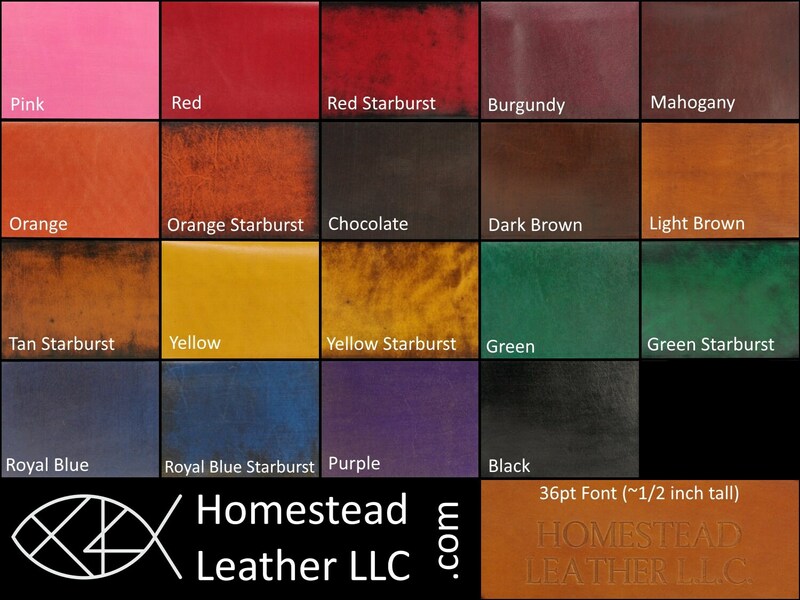 I dye my leather by hand for vibrant colors and a unique look. Inside, I use waterproof nylon lining for longevity and easy clean-up. Some I close with magnets for convenience, while others I close with zippers for security. With 4 sizes to choose from, you are sure to find the tote of your dreams, whether you want a bag for a night out on the town, or you want an elegant work bag to take to the office. Sized for the essentials, my Small Tote is refined enough to go with an evening gown, yet rugged enough to be your everyday bag. This medium tote is my most popular tote bag. The strap is long enough to easily put on your shoulder, even with a coat on, and the shape of this bag makes it sit comfortably under your arm. This bag opens and closes effortlessly with magnets so you don't need to give it an extra thought. 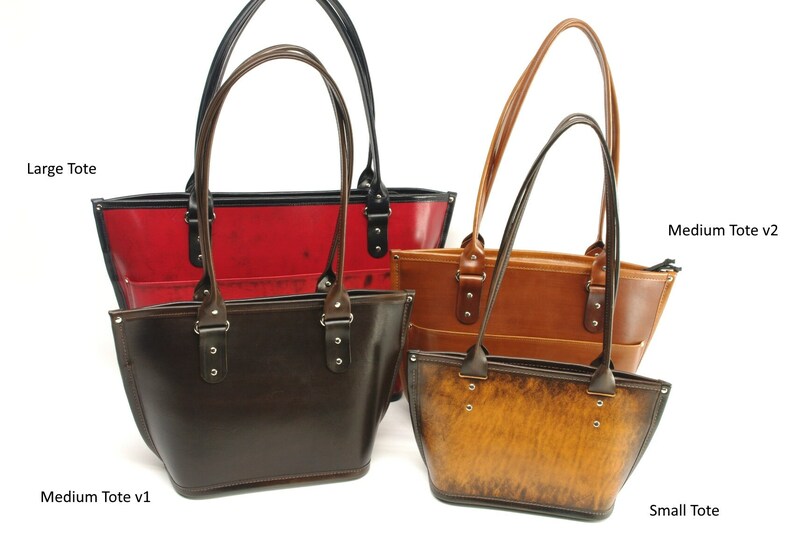 This mid-sized tote is slightly larger than version 1 above, and closes with a zipper for security. 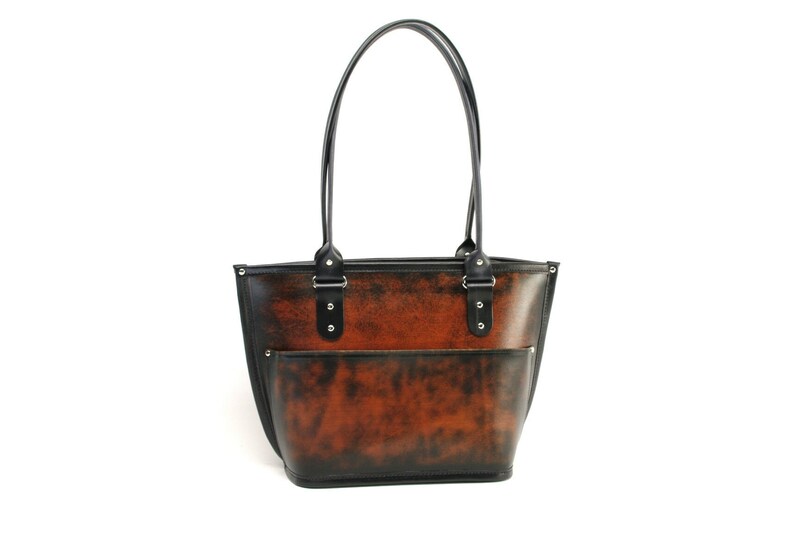 With an added silk and leather front outside pocket, this bag is a classic. 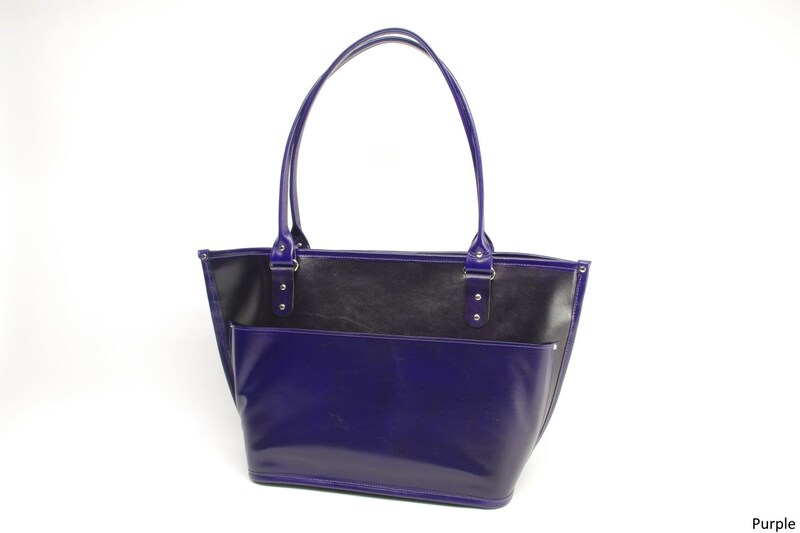 I designed this full sized, Large Tote with the business woman in mind. 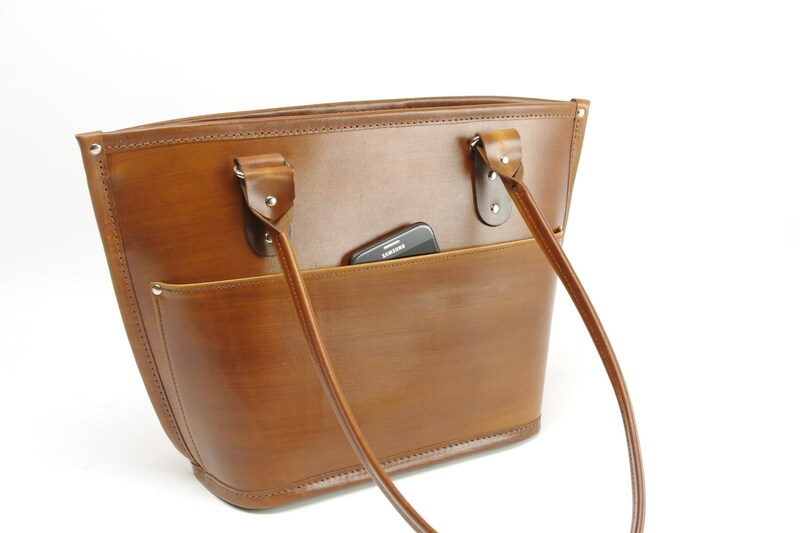 It is large enough to be used as a briefcase yet decidedly feminine compared to most briefcase alternatives. 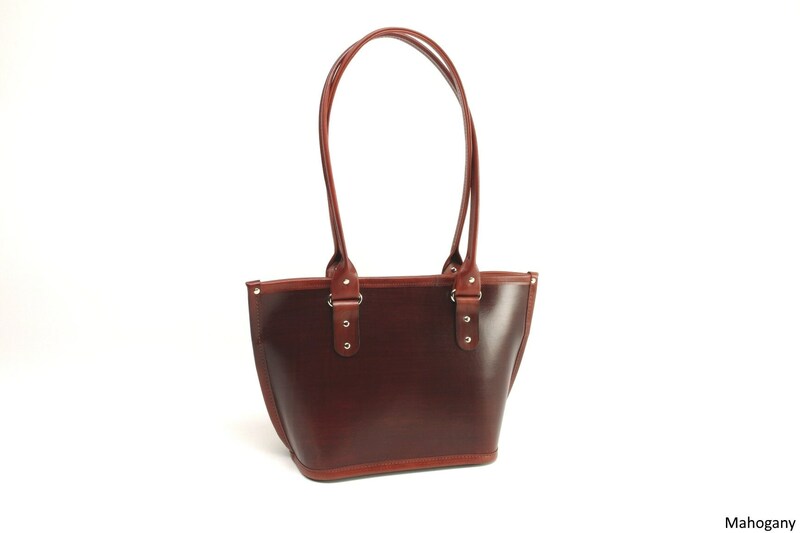 I make this bag with firm oak-tanned leathers. This leather will soften beautifully, yet still retain its shape. 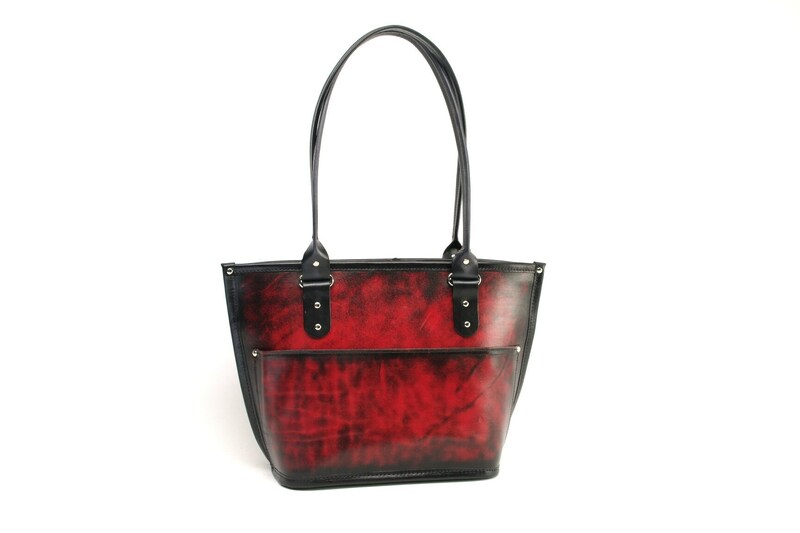 I dye my leather by hand to bring out the unique character of each piece. I use waterproof lining on the inside to keep the rain out making it refined and easy to clean. Outside, you will find straps long enough to put on your shoulder easily and slip pockets front and back. The zipper closure on this bag is aided with magnets so you can zip it or not; it will still close itself. Inside you will find two wall pockets in the front, one wall pocket in the back, and a center divider pocket to keep the large interior organized. This bag is large enough for a laptop, legal files, etc. 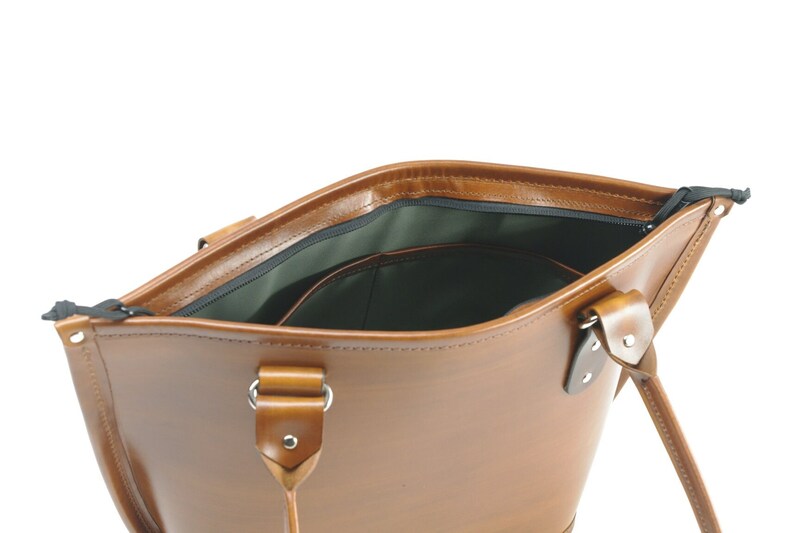 I use only the best quality leather, hardware and lining available, designing my bags to last a lifetime. With this in mind, I guarantee everything I make for life against defects.